Melissa Haussman is a Professor of Political Science. She teaches in both the US and comparative North American fields. Her scholarship has generally focused on questions of women’s access to political power in North America. 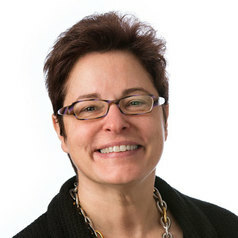 Her research has centered on women’s ability to gender public policy and related debates, especially on reproductive rights and health care systems. She is particularly interested in the roles played by federalism and supranational mechanisms in affording either opportunities or barriers to women’s policy successes. Melissa is the Co-Editor, with Professor Oriana Palusci, University of Naples, Italy, of the peer-reviewed International Journal of Canadian Studies. She is on the Editorial Board of the Institute for Women’s Policy Research Journal, the Journal of Women, Politics and Policy. Melissa has also has served on the Editorial Boards of the APSA journal PS and the IPSA journal International Political Science Review. She has held office in the American and International Political Science Associations and in the Association for Canadian Studies in the US. She previously taught at Suffolk University, Boston, MA from 1995-2005. Melissa supervises students on Washington internships, based on the agreement with The Washington Center for Internships and Academic Seminars to Carleton which she brought to Carleton in 2005.